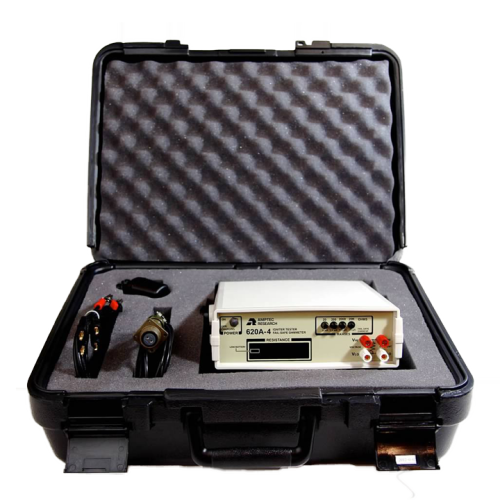 The 620A-4 Igniter Tester is a failsafe and portable digital ohmmeter specifically designed for ultra-safe resistance testing on squibs, flares, bridge-wire, and other explosive devices. The 620A-4 safety ohmmeter has been approved by the USAF Non-Nuclear Munitions Safety Board for usage on all non-nuclear munitions, and independently certified to meet Mil. Std. 810 Mtd. 511 for usage in fuel-filled environments. Due to its intense self-safety design and numerous certifications, the 620A-4 failsafe ohmmeter is the industry standard for military programs in need of igniter testing. 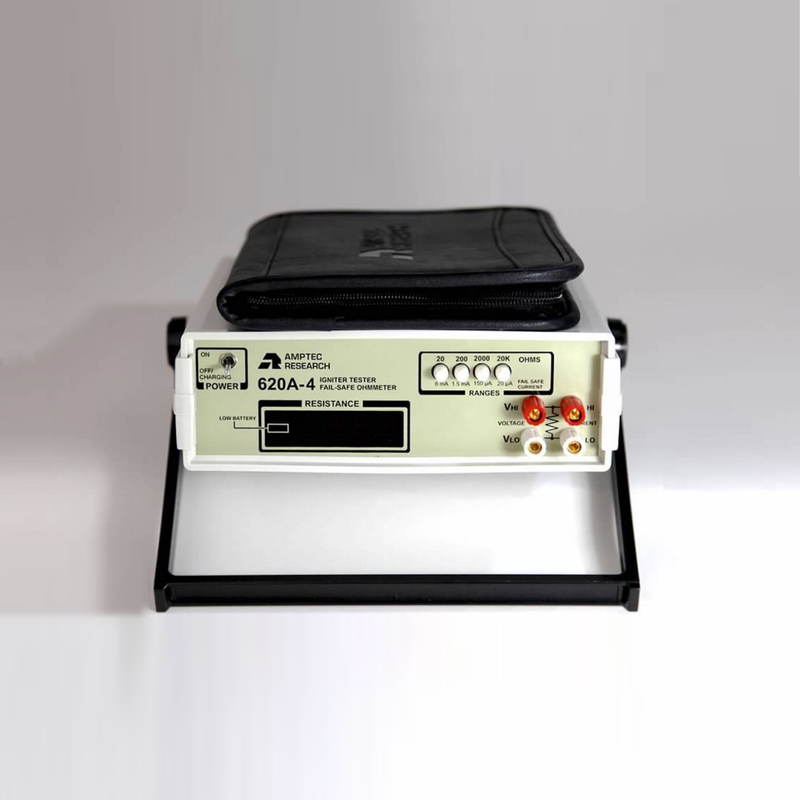 The 620A-4 failsafe ohmmeter may be purchased as a part of two separate packages, which are listed below. This product is unavailable for online purchase. For specific pricing information or to place an order for a 620A-4 meter, please contact us today. 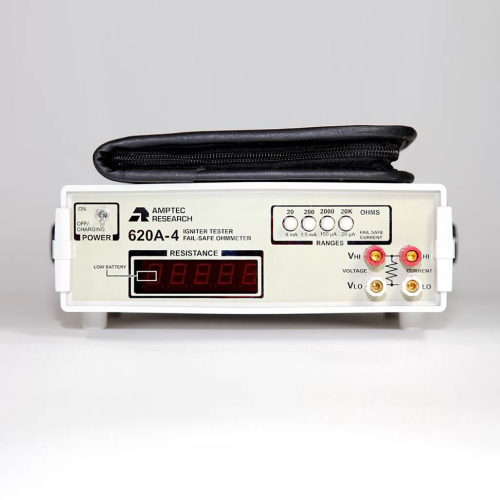 NSN Package Includes 620A-4 failsafe ohmmeter, (OP-100) transit case, (OP-290) leads, (620-DC) battery charger, (OP-430) connector adapter, & U.S. N.I.S.T Calibration Certificate. Request a quote! 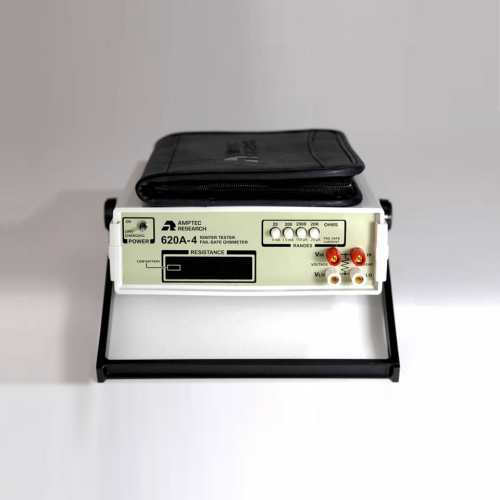 Commercial Package Includes 620A-4 failsafe ohmmeter, (OP-300) leads, (OP-401) probes, (OP-110) lead pouch, (620-DC) battery charger, & U.S. N.I.S.T Calibration Certificate. Request a quote! 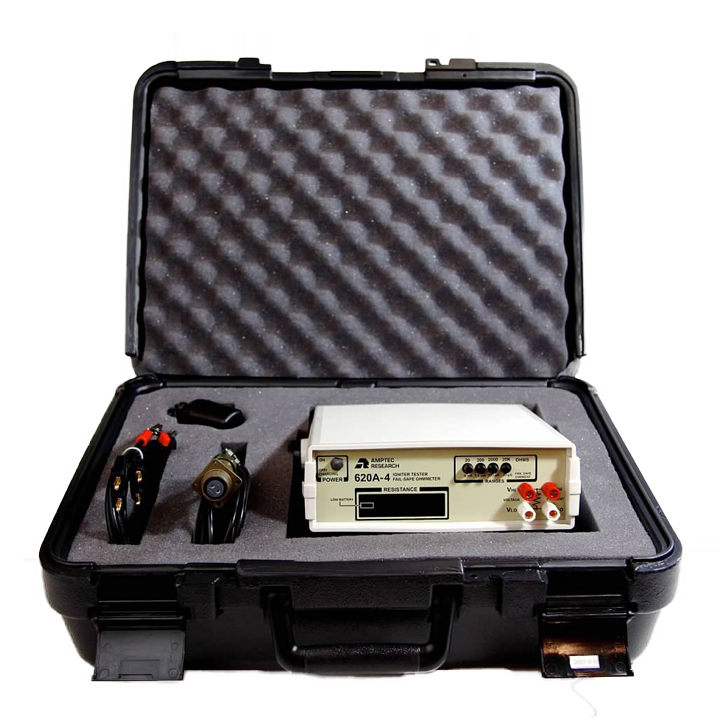 The 620A-4 ohmmeter is compatible with our 620 Series probe/lead sets and accessories. This product is also customize-able: it can be rack mounted, contain an RS232C interface, or use an optically isolated power source, for example. Contact us for more information.